In just a few weeks we will be starting another new house build. This house is being sponsored by Wells Fargo and The City of Concord. All of the tasks except those that say restricted are open to anyone. 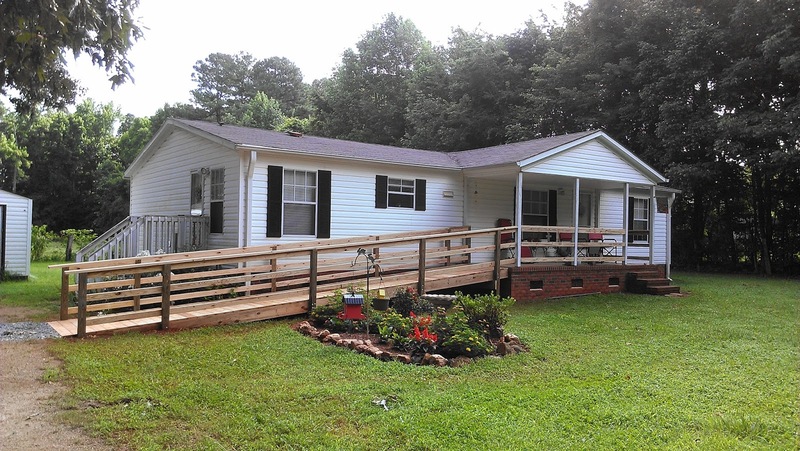 Habitat Cabarrus County has transitioned from an organization that is known for building new houses to one that is now focused on overall neighborhood revitalization. The affiliate is part of Habitat for Humanity’s nationwide Neighborhood Revitalization Initiative (NRI), a multifaceted strategic response to the significant affordable housing challenges faced by local communities. The affiliate now offers an array of housing solutions for families in need — new construction, renovation, rehabilitation, critical repair, transitional housing, cosmetic improvements—through which the benefits of a volunteer labor force and in-kind building material donations are leveraged to their full extent. The NRI effort has been possible because of a three year collaboration with the city of Kannapolis in the Carver community. New home construction is still an important aspect of the work done by Habitat Cabarrus but the focus is now on increasing the number of families served with affordable housing solutions in Cabarrus County. A one-time weatherization program with UNC Charlotte whereby 31 Habitat Cabarrus families received weatherization services at no cost to them. A relationship with the City of Concord in 2013, with the initial focus on new build construction. The first new Habitat home was completed on Broad Street in the Logan community in May with the hope that this will lead to at least two new build homes a year in Logan. The longer term vision is that this partnership will eventually include rehab and repair work, similar to what is being done in Kannapolis. Habitat Metrolina Partners, a group of nine Habitat affiliates in the Charlotte region that has paid dividends within the “Habitat family”. Habitat Cabarrus has benefited greatly from being involved with this collaboration. This partnership has capitalized on the strengths of each organization and used economies of scale to help improve the efficiency and effectiveness of all involved. Last but not least, Habitat Cabarrus continues to focus on operating in a fiscally responsible way. The affiliate has eliminated borrowing, reduced expenses, paid down debt and works hard to be a good steward of the funds received from our generous supporters.